The village of Tomintoul lies above the Cairngorms, in the national park, and between the Ladder and Cromdale hills on the noted Speyside Way. An area of incredible natural beauty, it offers a huge range of activities to suit all tastes. The village itself has a Post Office and small general store, coffee shops and various places to eat, as well as a Tourist Information Centre. The Glenlivet Estate Ranger office is a 3 minute walk from Grant House and Grant Cottage, and can advise on local walking as well as offering co-ordinated activities. 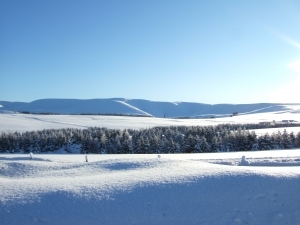 The Lecht Ski centre is a 10 minute drive from the village, offering a range of summer and winter activities. There are numerous distilleries in the area; the Glenlivet being a short distance away. Shooting, fishing, golf and horse-riding are all available locally. The pleasant market towns of Aberlour and Grantown are a 30 minute leisurely drive away and offer good sized food shops, as well as a wide variety of eateries and other shops. Fuel is available at both towns (the closest fuel to the village will be found at Ballindalloch on the A95). Heading towards Dufftown from Craigellachie (after Aberlour) will bring you to the Speyside Cooperage, and then head further to find the renown Glenfiddich Distillery. 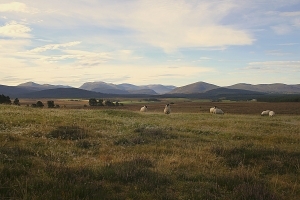 Continue on to Aviemore (from Grantown) to find a good sized supermarket and excellent shopping, as well as all the activities associated with the Cairngorms and its immediate area, or on to Elgin from Aberlour, to find a small city with most major shops and large supermarkets. The nearest station is at Aviemore, with another at Elgin. Closest airports are Inverness (Dalcross) and Aberdeen (Dyce).